PYEONGCHANG, SOUTH KOREA (February 25, 2018) It is being reported by the Houston Chronicle and Sporting News that Canadian cross ski team member Dave Duncan (shown right), his wife Maja and Willy Raine, who is the director of the Canadian Ski Cross High Performance program, were arrested on Saturday for car theft. Police in South Korea stated they have charged all three and Raine, who was behind the wheel, had a blood-alcohol level of 0.16, which is more than three-times the legal limit in South Korea. All three have been released, but are required to remain in the country. 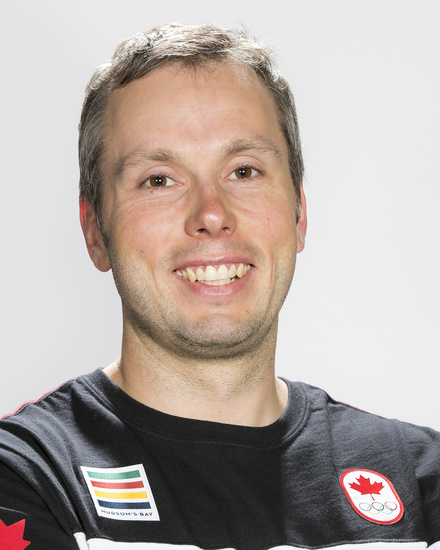 The Canadian Olympic Committee is also looking into the charges. 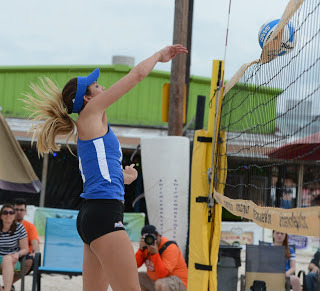 FORT WORTH, TEXAS (February 24, 2018) The HBU Huskies kicked off the 2018 NCAA beach volleyball season at the Horned Frog Challenge on the beach volleyball courts adjacent to the University Recreation Center on the campus of TCU on Saturday, February 24, 2018. In their second match of the day, the Huskies downed the University of Louisiana Monroe by the score of 4-1. The number 4 doubles team of Danielle Wheeler and Brennan Miller downed Bailey Smith and Allie Kemp 21-15, 21-17 to give the Huskies a 1-0 lead. HBU made the score 2-0 when Megan Carter and Kali Fluke (number 5 doubles) beat Holland Ponithieux and McKenna Webster 17-21, 23-21, 15-10. The number 1 doubles duo of Jessica Wooten and Aeriel Horton made the score 3-0 with a 21-19, 21-11 win over Gabby Love and Maile Sellers. ULM took the fourth match (number 3 doubles) when Catherine Griffith and Rebecca Brown downed HBU's Bailey Banks and Katya Silveria in a close match 21-19, 26-24, taking the score to HBU 3, ULM 1. In the final match, Kayla Armer and Tori Hinojosa downed Grace Convey and Kayla Gailant 21-19, 21-18. Earlier in the day, HBU fell to No. 13 TCU 4-1. The Huskies next match will be against the New Orleans Privateers in the New Orleans Invitational om March 3-4. 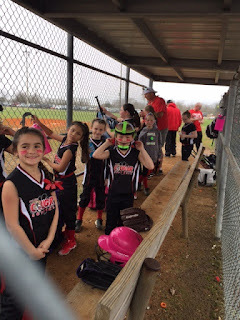 DEER PARK, TEXAS (February 19, 2018) The Deer Park Cougars scored a season high 12 runs in their final game of the Deer Park Sweetheart Girls 8U Softball Tournament held at the Deer Park Adult Softball Complex on Sunday, February 18, 2018. The Cougars finished the fourth inning with the score tied at 10 against the Deer Park Ravens. The game went to extra innings with the Ravens putting four runs on the board in the top of the fifth. The Cougars came back and scored two runs in the bottom of the inning before two close tags ended the game with the score 14-12. The Cougars were paced by rover Quinn Romero, who scored two runs, one of them a home run, and catcher Kirstin Kelly, who also scored two runs. Pitcher Melina Delgado, second base Emilee Mendoza, shortstop Aubrey Rogers, center fielder Mia Ceniceros, and left fielder Jocelynn Wall all had two hits and added single runs to the Cougars' total in the effort. In addition, third base Riley Wilson, first base Cali Telles and right fielder Paige Taylor all had single hits, along with scoring runs with each adding an RBI to the team's box score. The Cougars will next take to the diamond on Monday, February 26 to begin spring league play. They are managed by Larry King. He is assisted by coaches Josh Telles, Able Mendoza, and Dale Yurt. The Deer Park Cougars kicked off the Deer Park Sweetheart Girls 8U Softball Tournament at the Deer Park Adult Softball Complex with two pool games on Saturday, February 17, 2018. Despite some spirited and inspired play, the Cougars dropped the two games by the score of 8-4 and 9-5. The pool games were lead-in games to tournament play which began at 3 p.m. on Saturday. In the 3 p.m. game, the Cougars will play the Diamond Rippers. On offense, the Cougars were led by the bats of Cali Telles, Kirstin Kelly, Genesis Rodriguez, Riley Wilson, Quinn Romero, Aubrey Rogers, with Melina Delgado, Emilee Mendoza, Mia Ceniceros, Paige Taylor and Jocelynn Wall exhibiting excellent glove play in the field. The Cougars are led by head coach Larry King and assisted by Josh Telles, Able Mendoza, and Dale Yurt. HOUSTON, TEXAS (February 14, 2018): With the score tied at 12 after 10 minutes of play, the HBU Huskies jumped out to a 27-25 lead at halftime in route to a 57-51 win over the Northwestern State Lady Demons at Sharp Gymnasium in Houston. The game, which saw head coach Donna Finnie play her entire bench, saw nine of her 11 active players put the ball into the hoop. Shannon Jones (Crosby HS, Crosby, Texas) came off the bench to score 19 points, a season high for the sophomore, in 24 minutes of play. She was 7-of-12 from the field, including 1-2 from three-point range, and 4-5 from the line. Starting forward Lauren Calver (Heathcote HS, Helensburgh, Australia), who played the entire game, tallied 10 points and 11 rebounds for her second consecutive double-double of the season. Amanda Johnson added 10 points to HBU's total. Libba Gilliam also received a double-double for the Lady Demons, scoring 18 points and pulling down 10 boards. 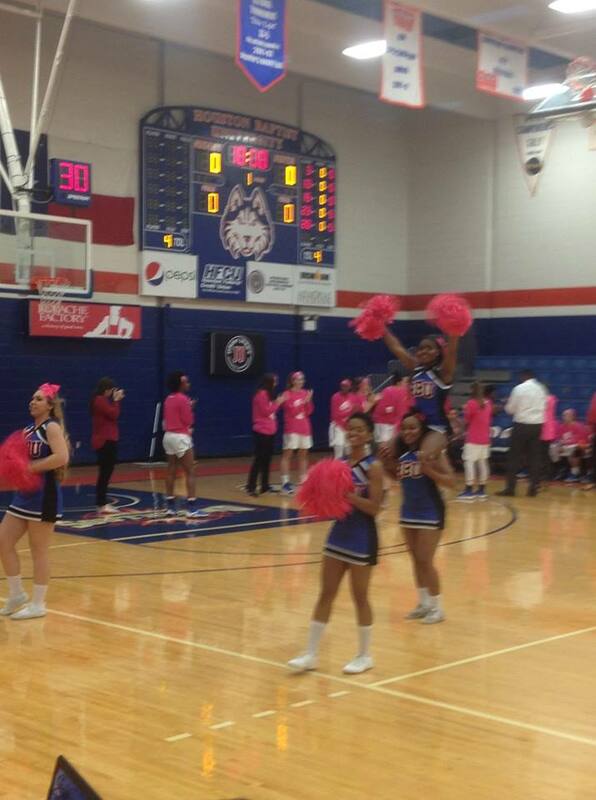 The win pushes the Huskies to 3-10 in conference play and boosts their season record to 7-16. The Lady Demons fell tp 2-12 on Southland play and 7-18 for the season. The Huskies remain at home to host Sam Houston State Saturday, February 17 at 2 p.m. They will then embark on their final round trip of the regular season, taking on Lamar Wednesday, February 21 at 7 p.m. and McNeese Saturday, Februay 24 at 1 p.m.
LAKE CHARLES, LOUISIANA (February 10, 2018) The McNeese State Cowgirls trailed Southeastern Louisiana by one point at halftime, but came roaring back in the second half, outscoring the Lady Lions 40-17 in route to a 69-47 win at Burton Coliseum in Lake Charles. They The win pushed the Cowgirls' Southland record to 7-5 as they remain in the hunt for a conference tournament berth. The Lions held a slim 16-13 lead after 10 minutes of play, with the Cowgirls pouring it on late in the game for the much-needed win. Starting guard Dede Sheppard (Vivian, LA) (shown above, No. 4) led the way for McNeese, tallying 16 point in 16 minutes of play, while shooting 6-for-16 from the floor, including a 2-for-5 effort from the arc. Also hitting double-figures was Caitlin Davis (Breaux Bridge, LA) with 13 points, Regan Bolton (Hammond, LA) with 11, and Mercedes Rogers (Crowley, LA) with 10. This was the seventh game this season with four Cowgirls scoring in double figures, with sall even games being wins. For the Lions, Charliee Dugas (Rayne, LA) chipped in 13 with Taylin Underwood (Livingston, LA) adding 11. LAKE CHARLES, LOUISIANA (February 9, 2018) The Houston Baptist University softball team kicked of their 2018 season at the Cowgirl Classic, hosted by McNeese State University, in Lake Charles, Louisiana. The Huskies took to the field at Cowgirl Diamond on Friday afternoon to face the Virginia Cavaliers; dropping a 3-1 decision. First baseman Megan Hiers (shown right) was 1-for-4 with a double and one RBI to lead the Huskies. The sophomore, who played high school ball for Pearland (TX) High School, batted .231 in 40 games for the Huskies in 2017; scoring 14 run and tallying 12 RBI. The starting pitcher for HBU was Stephanie Buenrostro (Navarro JC, Houston, Texas), who pitched four inning, gave up three earned runs on two hits while striking out one, received the loss. Junior designated player Brooke Bushman (Ridge Point HS, Missouri City, Texas) and center fielder Kay Schroeder (Sealy HS, Sealy, Texas) also connected for single hits. The Huskies loaded the bases in the top of the seventh inning with one out, hoping to put out the win, but all three runners were stranded to close out the game. Virginia kicked of the tournament on Thursday, February 8 with a doubleheader against McNeese,dropping both games 7-0 and 4-3. They are now 1-2 for the season. Next up for the Huskies is a 12:30 p.m. match-up against Tulsa on Saturday, February 10.